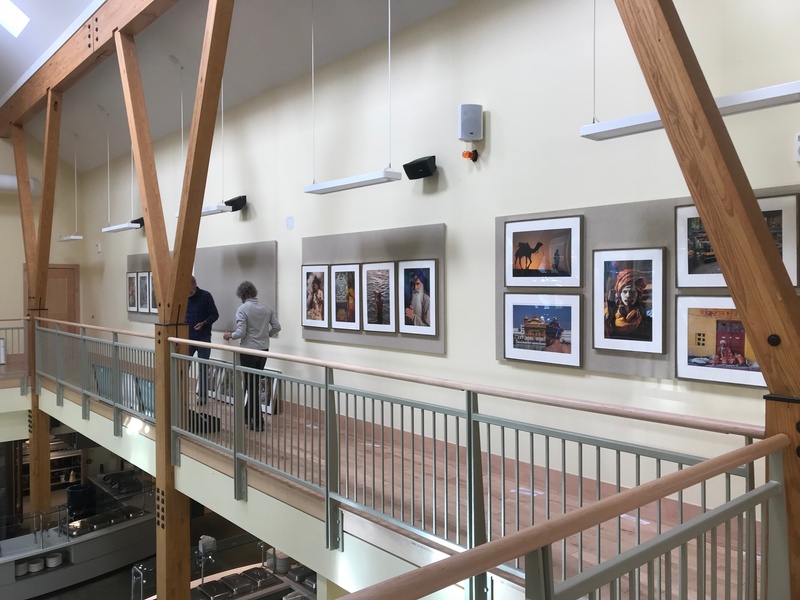 Proctor Academy is incredibly excited to welcome the work of MeadEaglePhotos to campus in a new art installation in the Brown Dining Commons. 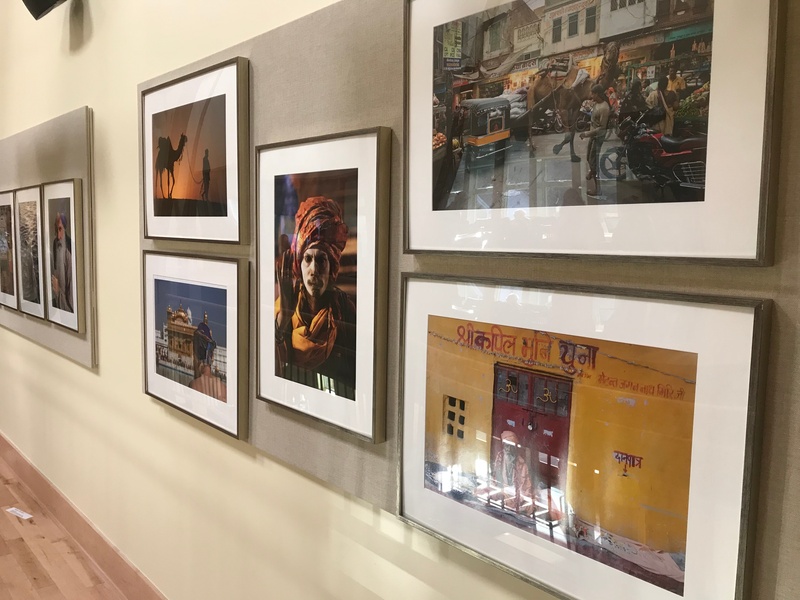 The exhibit, Namaste: Images of India, is the first of hopefully many visiting installations to grace the walls of the new Brown Dining Commons which opened its doors in the fall of 2016. Read on to learn more about the exhibit, the artists, and their goal of increasing conversations around diverse cultures within educational settings. 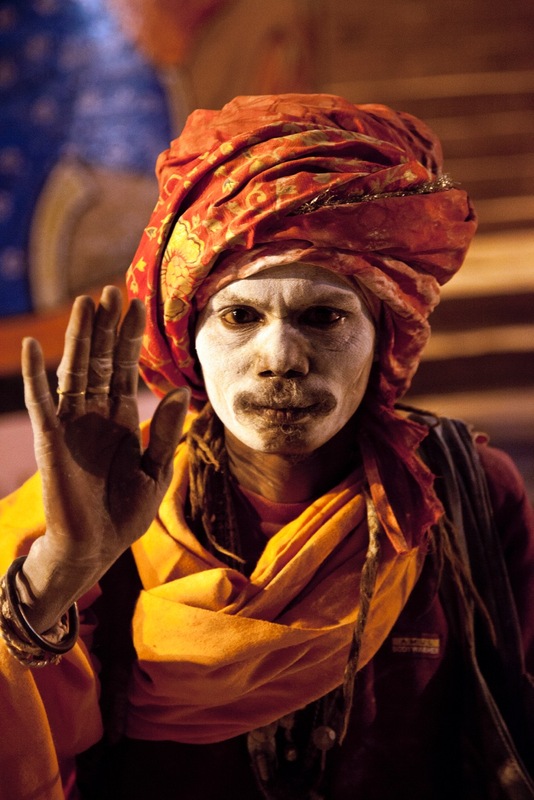 India’s astounding diversity of religions, languages, and cultures is unique and unparalleled. The society of a vast subcontinent, varied and complex in its rich heritage, is among the oldest in the world. Five thousand years of history have nourished the growth of a great civilization. It has been vitalized through cross-cultural contact and characterized by unity in diversity of culture and race, caste, religion, and language. In India there are examples of virtually every known type of societal division; six major religions- Hinduism, Islam, Sikhism, Christianity, Buddhism, and Zoroastrianism; two major language families- Aryan and Dravidian, with 18 official languages and innumerable dialects and tribal languages. The great Indian tradition unites the diverse cultural regions, but within its elastic framework are a myriad of sects and local traditions. Perhaps more than anything else, traditional India has been characterized by “localism,” a fragmentation not simply of cultural-linguistic regions but of villages themselves. It’s a known fact that over 600,000 villages in India kept on functioning as autonomous republics through centuries. These characteristics shape a photographer’s experience in trying to capture the essence of India and its rich traditions and vibrant personalities, colorful attire, and historic palaces and temples. From the Puskhar Camel Fair to the “Blue City” of Jodphur, the congested streets to the sublime quietude of sacred spaces, the essence of the culture is everywhere. International award-winning photographers Dan Mead and Sally Eagle, have been wandering the globe together for 40 years, documenting their travels. From the Himalayas to the Antarctic, Patagonia to Namibia, the Western United States to Iceland, a passion to explore and discover has defined their lives. Dan Mead, a former educator turned psychotherapist and consultant, and his wife Sally Eagle, entrepreneur and the first Executive Director of the Berkshire-Taconic Community Foundation, first photographed their travels for personal enjoyment, and subsequently to document them for family and friends. Over the past 35 years, the process of editing and selecting photographs to be viewed by others enticed them to focus more intently on vividly capturing the essence of the landscapes, the wildlife and the cultures they encountered, and the scenes they witnessed. Thousands of slides attest to their commitment to documenting their travels since they met. However, it was the advent of digital photography that really launched their dedication to photography as a craft to be pursued as its own art form. They have since had the opportunity to travel extensively and to study with and learn from some of the best photographers in the field, including Nevada Wier, Andy Biggs, David Muensch, Frans Lanting, Jack Dykinga, and John Shaw. 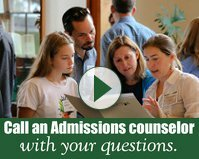 Dan and Sally live in Great Barrington, MA. Read more about Dan and Sally here. MeadEaglePhotos provides high impact images of wildlife, landscapes, and cultures around the world to college and high school students as well as community groups throughout the Northeast. We exhibit in galleries, museums and other educational spaces to encourage a dialogue: whether about photography itself, global studies, environmental studies or as a basis for the interaction of the visual and literary arts. We currently have seven touring gallery exhibits, but can also customize an exhibit according to the interests of the venue. 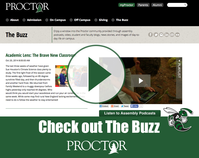 We are also available for slideshow presentations, speaking engagements and artist-in-residence programs. We have a wide selection of presentations that are already created, but we are also willing to work to create new slideshows that reflects the interests of a client. With a store of anecdotal tales, and when accompanied by some of their extraordinary photographs, MeadEaglePhotos provides an intimate perspective for those curious about the world around them. We hope you enjoy the exhibit while you are in the Brown Dining Commons this winter and encourage you to read more about the pieces around the building. Thank you to Campus Art Curator Molly Leith for bringing MeadEaglePhotos work to campus to share with all of us.